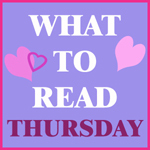 Lorraine Paton: What to Read Thursday! Things are a little crazy this week! The When Words Collide Conference (WWC) starts tomorrow and I'm scrambling to get ready for it! So, this week, I'm mixing up the What to Read Thursday a bit. Duke out at the Diner by Sarah Kades - This is a fun short story with a paranormal twist. A Stranger's Touch by Roxy Boroughs - This is a romantic suspense with a paranormal twist. Her Place in Time by Jessica L. Jackson - This is a time travel romance with Vikings! Blurb: Four women. Four shooters. Four destinies to save the world…The Four Horsemen of the Apocalypse are coming. And four Archangels must find the perfect champions to save the world: fighters, warriors, soldiers, and brave men, all ready to fight for humanity against end times. All they have to do is drink a shooter — a caustic mix of alcohol and divinity that will imbue them with the conviction to battle the Four. The only problem is these warriors don’t drink the shooters. Call it fate, chance, or what you will, but four women drink the divine concoction. Alexandra Carlton, Julia Wolfe, Emily Keller and Dinah Medrano must all take up the mantles of champions … whether they want to or not. Four writers, four horsemen, four Women of the Apocalypse. The world will never be the same again. Also, I'll be doing a cover reveal for Annie's Christmas Plan this weekend too! Woo hoo! I'll post it next week! I hope you are having a fantastic Thursday! If you are going to When Words Collide this weekend, let me know! Maybe next year you can plan to come!